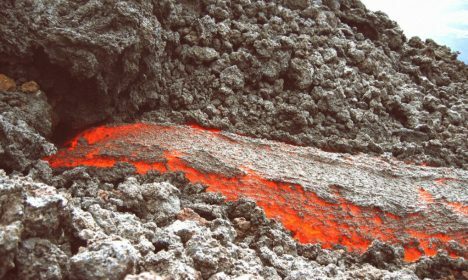 Taking geothermal energy generation quite literally to the next level, Iceland is drilling a hole to tap into the Earth’s magma, a virtually unlimited potential power source. 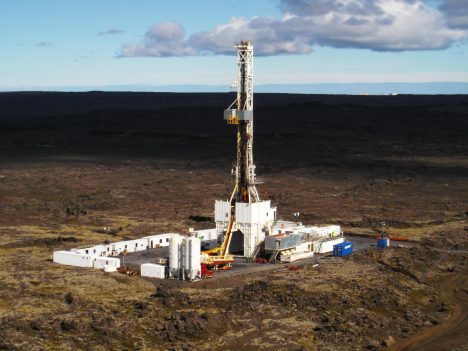 The Iceland Deep Drilling Project (IDDP) is drilling 5 kilometers down into the Earth’s crust using its rig named “Thor” in order to reach hot zones between tectonic plates. Unlike conventional geothermal, their pursuits are taking them to places where 400 to 1000 degrees Celsius can be expected, far hotter than similar approaches. “People have drilled into hard rock at this depth, but never before into a fluid system like this,” Albert Albertsson of an Icelandic geothermal-energy company involved in the project. Researchers are hoping to find “supercritical steam,” which holds more heat energy than either liquid or gas. A potential 50 megawatts of energy could be generated from this steam, powering up to 50,000 homes. Similar techniques could be employed around the world near young volcanoes and similar subduction zones. See more in Energy & Power or under Science. November, 2016.